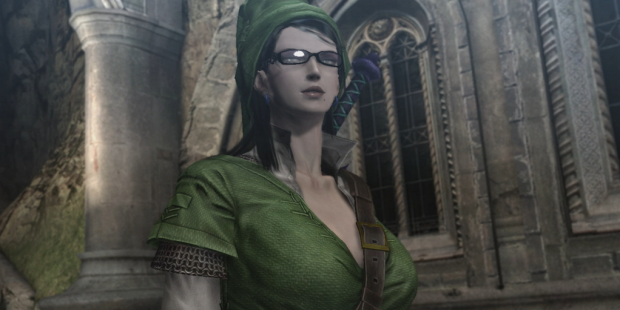 Bayonetta seems to keep her clothes on this time, if today’s Nintendo Direct trailer is anything to go by. We saw her battling giant robots and monsters while buildings crashed around her. The orignal Bayonetta will also be coming to Wii U, available on its own or as a bundle with Bayonetta 2. As confirmed by Nintendo UK on Twitter, there will be moments during the game where she dresses as classic Nintendo characters, like Princess Peach and Link, with gameplay to match. Amazing! Check out the trailer below.